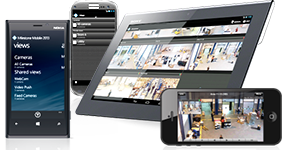 C&CC Video Surveillance Solution can provide a great security benefit for industrial sites like factories and warehouses. Increased home security threat levels and theft of raw materials have made the manufacturing, storing and shipping of goods riskier and more expensive in recent years. Reduced theft – Prominently displayed security cameras can prevent employee theft and help you identify those who do steal or vandalize your property. Protect employees – Video surveillance can help keep your employees safe from intruders or thieves and also from occupational hazards like damaged equipment. Improved Productivity – Video surveillance has been used effectively to monitor employee productivity in a production environment, helping management meet volume goals.